MDC Partners' Doner has hired Eric Weisberg as global chief creative officer, effective Sept. 6. As part of the change atop the agency's creative department, co-CEO and chief creative officer Rob Strasberg will move into the newly created global creative chairman role. Weisberg, who has spent the last 15 years in the creative department of JWT New York, will relocate to Doner's headquarters in Detroit. He will be responsible for overseeing creative across all Doner offices from Los Angeles to London, while reporting to global president and CEO David DeMuth. "Eric really stood apart as a collaborative, impact-driven creative leader who has a strong vision for the future and who will help us build a culture of inventive creativity," DeMuth said in a statement. "His expertise in storytelling, technology, data and media will elevate our creativity to better solve modern marketing challenges." Over a decade and a half with JWT, Weisberg rose to the level of global executive creative director, leading such accounts as Johnson & Johnson, Nestlé, KPMG and Wild Turkey (among others). He was responsible for organizing the agency's first truly integrated creative group combining the digital, traditional and CRM disciplines. In 2012, his team won the very first Mobile Cannes Gold Lion for a Band-Aid Muppets augmented reality campaign. His team also worked on the #HowWeFamily campaign for Tylenol. Prior to joining JWT in 2001, Weisberg worked in the creative departments of Leo Burnett, Saatchi & Saatchi and K2 Creative. He currently teaches at New York's School of Visual Arts. Regarding the announcement, Strasberg said, "We couldn't be more excited to have Eric join Doner. Eric is an experienced, multi-faceted creative leader, who will elevate Doner's legacy for great work by taking advantage of the modern creative toolbox to power ideas that move people." 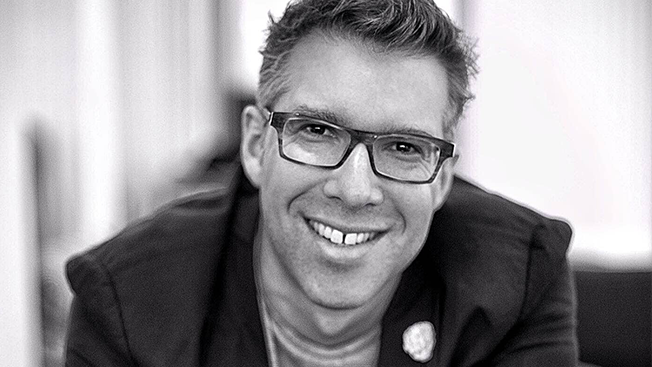 Strasberg himself joined Doner in 2008 after serving as vp, creative director at fellow MDC Partners shop Crispin Porter + Bogusky. In his new role, he will continue to focus on recruiting and mentoring creative talent throughout the Doner network while also leading the agency's philanthropic efforts. "Doner is a network with amazing people, impressive clients, beautiful work and incomparable real-time production capabilities," said Weisberg. "By adding even more disruptive innovation, Doner can unleash its full potential."